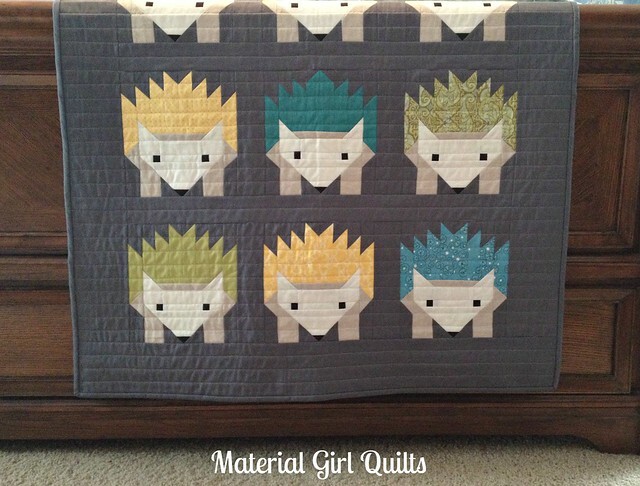 Let me introduce you to Hazel and the Hedgehogs :) This is without a doubt the cutest quilt I have EVER made!! This quilt is for a dear friend who is expecting her first baby soon. 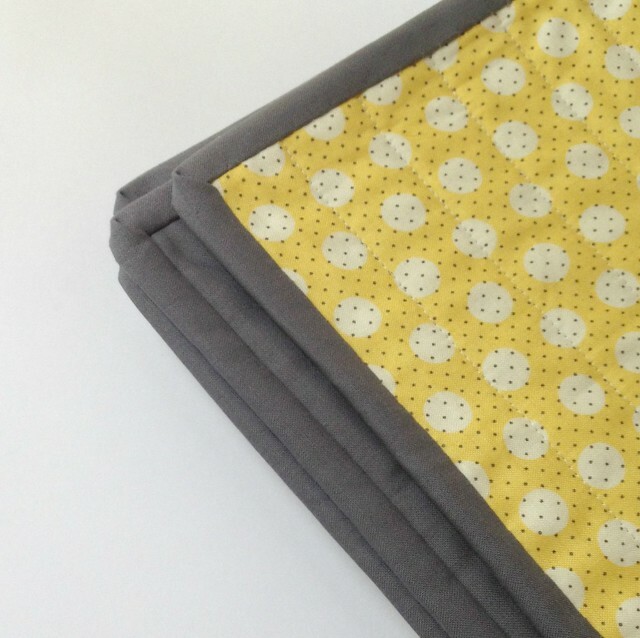 The gender is a surprise and when I saw Elizabeth Hartman's new quilt pattern (found here), I just knew what I had to make. My boys and I decided that she's the lead singer of her punk rock band named "Hazel and the Hedgehogs". She takes center stage in the quilt and I think it's just perfect that way. 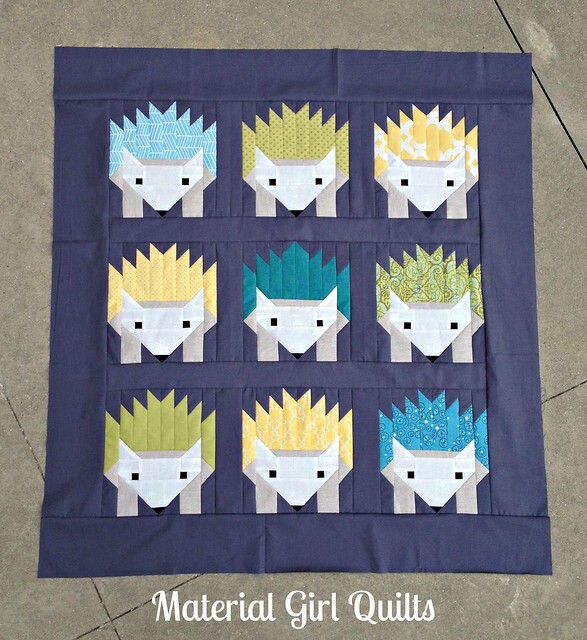 One of the best things about this quilt is that all of the fabric used in the hedgehogs were pulled from my scrap bins. It always feels good to use up some scraps. 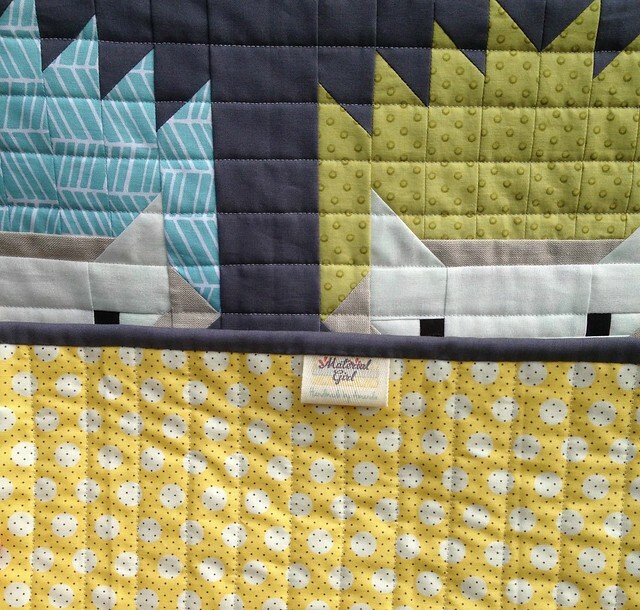 I also found this sweet DS Quilts print that was just the right size for the back. No piecing needed! I have to admit, I love how it looks with the charcoal binding too. 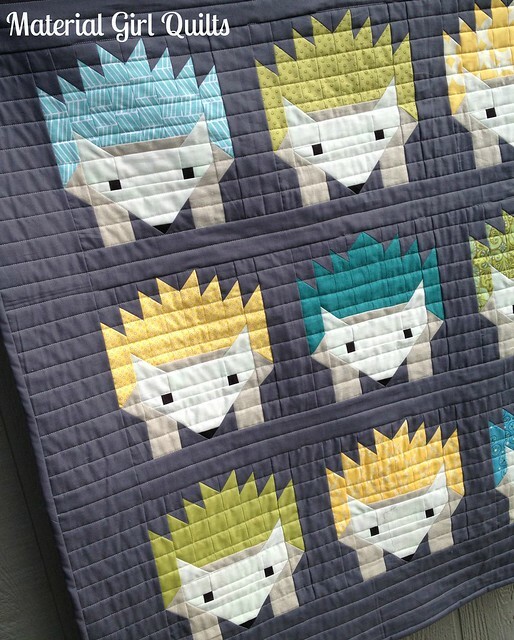 I'm Teaching a Swoon Quilt Class! !